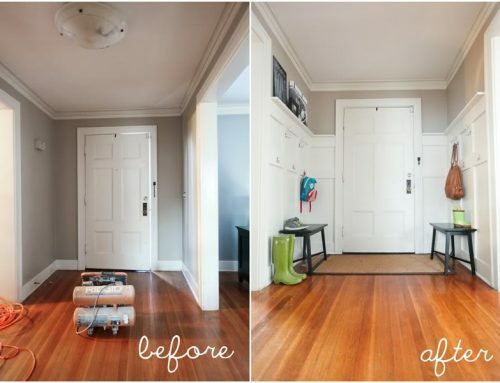 Who doesn’t like before and after photo’s? 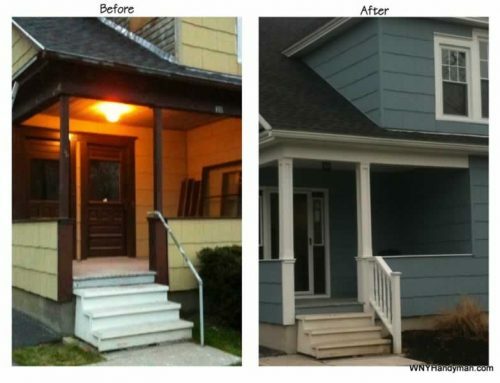 Where would HGTV and DIY Network be if we didn’t love them? 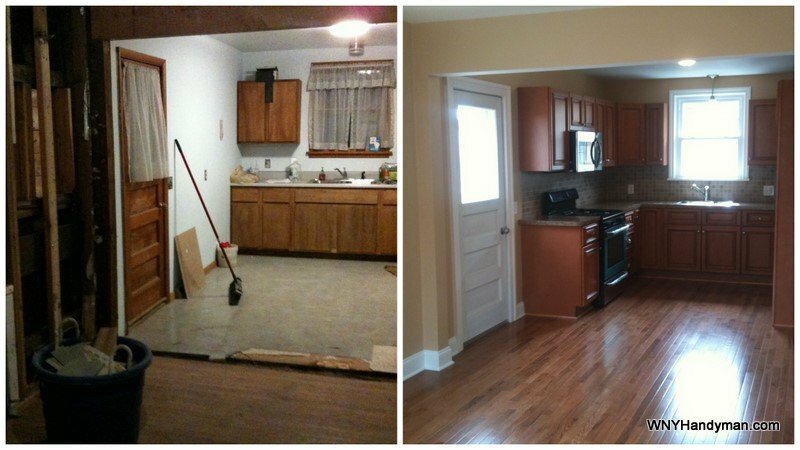 The following picture is a before and after shot of a kitchen that we recently renovated. 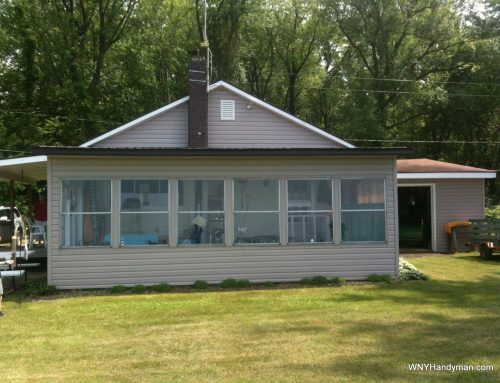 It isn’t a complete “before” shot since this was taken after an interior wall was removed, but you get the picture. We opened up a bedroom to expand the kitchen into a modern, eat-in kitchen space. 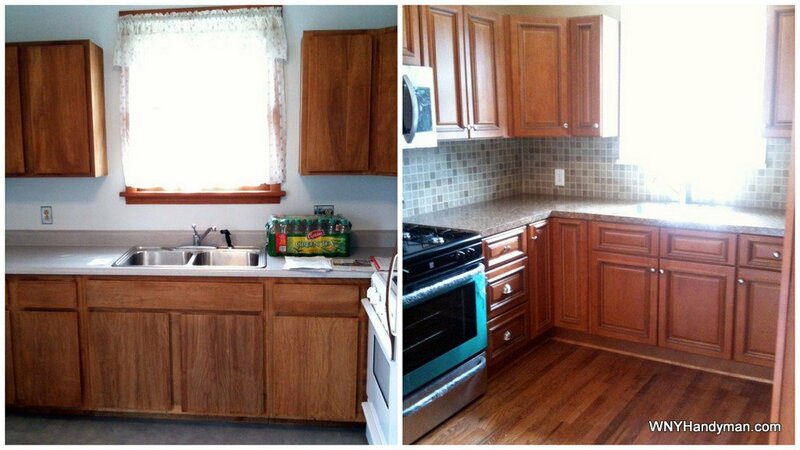 The cabinets were replaced with a Harvest Maple RTA Cabinets from the RTACabinetStore.com. Our counter top was custom built (u-shaped) using laminate from Wilsonart (Madura Gold 4923). The sink was a great option for a tight space. Our kitchen was a bit narrow and we weren’t able to go with a full size double basin sink. This Moen top mount provided 2 basins, but didn’t have a full sized 2nd basin. It was a 25″ wide double basin which makes it ideal for a smaller kitchen (or a kitchen with a 30″-33″ sink base cabinet). The sink was less than $115 to boot (Moen Sink at Lowe’s). 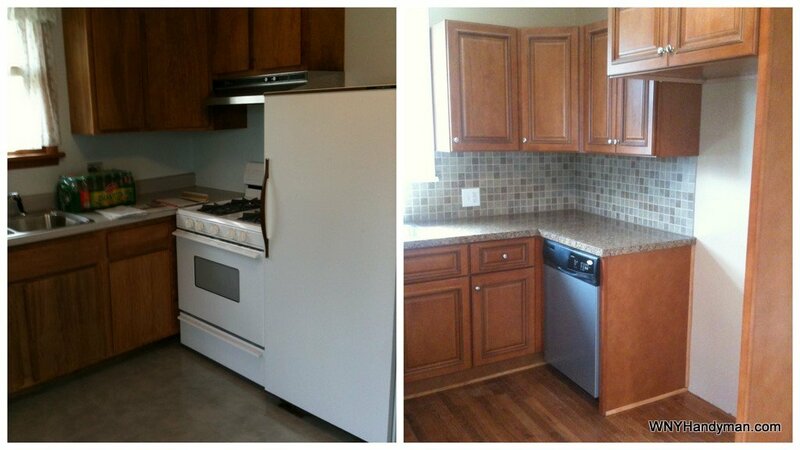 For the appliances, we purchased Kenmore units for the range and microwave along with a Whirlpool dishwasher. The total appliance cost came in just under $900. The flooring was a great find for a less formal eat-in kitchen look. We located an oak hardwood that was a builders grade product that was much higher quality than most flooring products in that price range. The boards were true and the installers loved the product. Ask most installers to put in a tavern or builders grade product and they probably won’t be happy. Many installers will refer to tavern grade flooring as “fire wood”. However, this product was far above its grade. The lower grading had to do with the color variation in the product. However we were after a casual feel and it pulled every wood tone in the space together. The hardwood came from Georgia Carpet Outlets and came in at around $2.80 a square foot plus $2 a square foot for the install. Well worth the money. The wall color has gotten a lot of compliments and is a warm neutral tone. 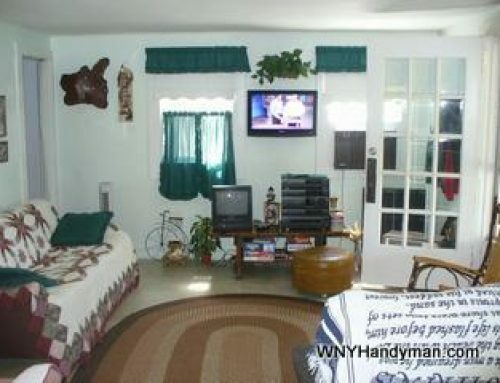 The color is from Sherwin-Williams and is called “bagel”. The back splash tile was done with a relatively inexpensive 2″x2″ tile from Lowe’s. It is a stock item that runs just under $4 per square foot. Overall the kitchen remodel turned out terrific. The space works well and the colors are warm and inviting.